Canadian neoclassical-influenced tech death unit, FIRST FRAGMENT, will release their long-anticipated debut full-length, Dasein, on May 20th via Unique Leader Records. and boasts a fierce mix of over-the-top drum tirades, complex neoclassical-influenced guitar work, endless solos, Flamenco and clean guitar passages, proggy death metal bass work and a highly varied dual vocal approach. Via the teaser video below. Spawned in 2007 as a bedroom side-project by rhythm guitarist Gabriel Brault-Pilon, vocalist/lead guitarist Philippe Tougas and lead vocalist David Alexandre Brault-Pilon, the Québécois trio evolved into a full-fledged band with the sole intention of creating the catchiest, most aggressive and multifarious music possible. Influenced by only the sickest modern extreme metal bands (Spawn Of Possession, Gorod, Martyr, Capharnaum, Origin, Necrophagist etc. ), ‘90s progressive death (Theory In Practice, Crypt Of Kerberos, Atheist, Cynic), Flamenco music and ‘80s neoclassical/power metal (Tony MacAlpine, Joey Tafolla, Racer X, Helstar, Yngwie Malmsteen) and being the only band from their country and in their subgenre to proudly sing solely in French, their diverse sound would quickly prove to be a force with which to be reckoned. Following numerous demo recordings in 2008 and 2009, FIRST FRAGMENT self-released their highly-praised debut EP,The Afterthought Ecstasy, in 2010 and later recruited bassist Vincent Savary and drummer Philippe Boucher. The band played frequent shows throughout 2011 and 2012 and began putting the finishing touches on the material that would make its way on to their debut full-length. Soon after entering Humanoise Studios with Mathieu Marcotte at the control desk however, Boucher fled the band. 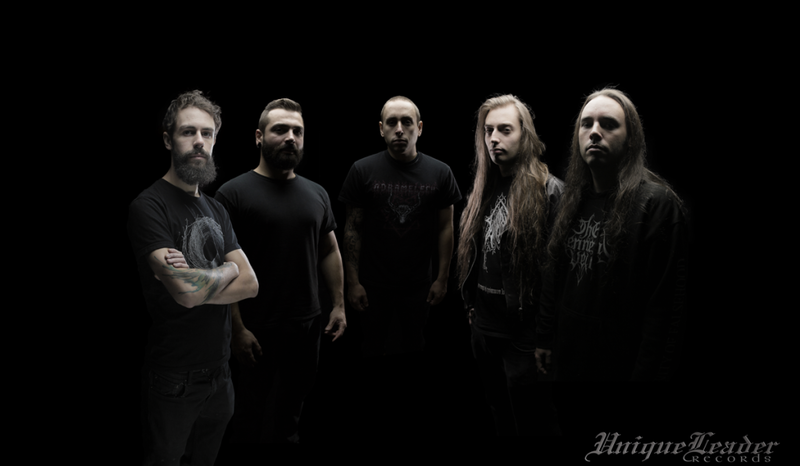 Not to be deterred, the remaining FIRST FRAGMENT members joined proverbial forces with session drummer Troy Fullert on of Severed Savior for the completion of the album.